Car and truck accidents happen every day, though they are never expected. Truck accidents are extremely dangerous because of the size of the vehicle. When these accidents do happen, however, you should be as prepared as possible. Having an experienced personal injury attorney in Houston by your side is the best decision you can make while going through this traumatic experience. There are many ways that a car or truck accident can happen. The most common ways include speeding, distracted driving from cell phones or other devices, driving while intoxicated, and weather conditions. There are commonly three possibilities when an accident happens. • Damaged cars and horrible injuries. • Loss of life or lives. There is no outcome better than the other, but the loss of life escalates the whole incident. 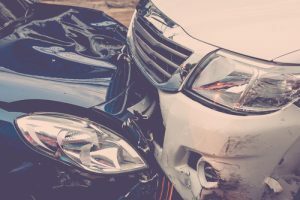 Matters at the scene of the crash get out of hand so fast that the only safe way to handle them is by consulting an expert personal injury attorney immediately. D’Ann Hinkle is a trusted attorney that is here to help you and your loved ones get the peace of mind you need to continue with your way of life. If you are injured in a car or truck accident, you may be able to receive compensation for your injuries that could help you to deal with any substantial medical bills, time you missed off work because of recovery, funeral expenses, and any financial burden that may come from the loss of a family member. Attempting to take on a case of this magnitude alone is not another burden you should have to face. Letting a personal injury attorney in Houston take care of the paperwork and strict deadlines can help you to recover faster. Contact the Law Office of D’Ann Hinkle today to schedule your consultation and discuss the next step for your case.